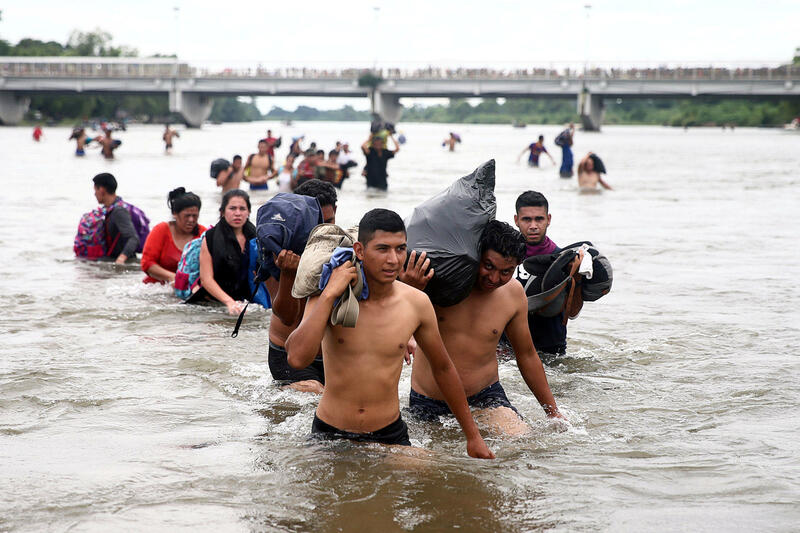 Migrant caravan swells to 5,000 in Mexico, with members vowing to reach U.S.
CIUDAD HIDALGO, Mexico — Despite Mexican efforts to stop them at the border, about 2,000 Central American migrants swam or rafted across a river separating that country from Guatemala, re-formed their mass caravan in Mexico and vowed to resume their journey toward the United States. President Trump repeated his recent threats to seal the border to prevent the migrants from entering the U.S. in a series of tweets Sunday afternoon, blaming Democrats for the situation. "Full efforts are being made to stop the onslaught of illegal aliens from crossing our Souther [sic] Border ... The Caravans are a disgrace to the Democrat Party. Change the immigration laws NOW!" The caravan elicited a series of angry tweets and warnings from Mr. Trump early in the week, but Mexico's initial handling of the migrants at its southern border seemed to have satisfied him more recently. "So as of this moment, I thank Mexico," Mr. Trump said Friday at an event in Scottsdale, Arizona. "I hope they continue. But as of this moment, I thank Mexico. If that doesn't work out, we're calling up the military — not the Guard." "They're not coming into this country," Mr. Trump added.